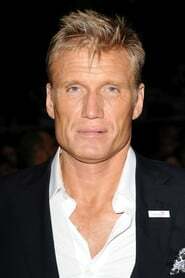 Dolph Lundgren (born Hans Dolph Lundgren; 3 November 1957) is a Swedish actor, director, and martial artist. Well known for his tall stature and level of fitness, at peak, Lundgren stood at 196 centimetres (6 ft 5 in) and weighed 111.5 kilograms (245 lb 13 oz). He belongs to a generation of film actors who epitomise the movie action hero stereotype including Sylvester Stallone, Arnold Schwarzenegger, Steven Seagal, and Jean-Claude Van Damme, some of whom he has worked with in his career. Lundgren's breakthrough came when he starred in Rocky IV in 1985 as the imposing Russian boxer Ivan Drago. Since then, he has starred in more than 40 pictures, all of them in the action film genre. He portrayed He-Man in the 1987 film Masters of the Universe, and Frank Castle in the 1989 film The Punisher. In the early 1990s, he also appeared in films such as Showdown in Little Tokyo (1991), opposite Brandon Lee, Universal Soldier (1992), opposite Jean-Claude Van Damme, Joshua Tree (1993) opposite Kristian Alfonso and George Segal, and Johnny Mnemonic (1995) alongside Keanu Reeves. 2010 marked his return to theaters with The Expendables, an on-screen reunion with Sylvester Stallone, alongside an all action star cast led by Jason Statham and Jet Li. Lundgren made his directorial debut with The Defender in 2004, and subsequently helmed The Mechanik (2005), Missionary Man (2007), Command Performance, and Icarus, in which he also starred. as "Captain Ivan Drago (archive footage)"
as "Edward Genn / Icarus"